Sturgis was released by the Chargers on Monday, Adam Schefter of ESPN reports. Analysis: The Chargers thought they'd finally obtained a reliable kicker when they signed Sturgis in March, but he's instead turned out to be another disaster, missing four field goals and six PATs in six games. Michael Badgley presumably will be promoted from the practice squad to replace Sturgis for Week 10 at Oakland. There's potential for fantasy relevance given that Badgley will be attached to one of the NFL's better offenses. Sturgis (quadriceps) missed his only field-goal attempt and made just one of his three extra-point attempts in the 25-17 win over the Seahawks. Analysis: Sturgis missed the previous two weeks thanks to a quad injury, but it wouldn't be a surprise to see the veteran get cut after yet another dreadful kicking day. 9-of-15 on extra points and 9-of-13 on field-goal attempts is particularly bad, even for Chargers kickers, and the egregious numbers will likely bring the return of Michael Badgley, the rookie kicker who filled in for Sturgis during the aforementioned absence. Sturgis (quadriceps) isn't listed on the Chargers' initial injury report for Sunday's game in Seattle. 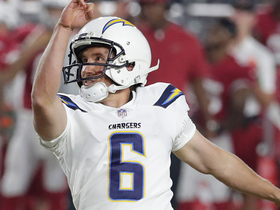 Analysis: The Chargers telegraphed Sturgis' return when they waived fellow kicker Michael Badgley on Tuesday, though they did act quickly to add the 23-year-old to their practice squad in light of his strong performance in the past two games. Sturgis could be on the hot seat if he endures any further accuracy issues, which put his job in question before he succumbed to the quad injury. 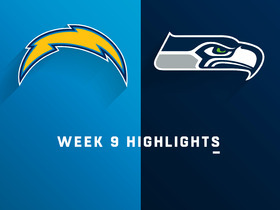 Through the Chargers' first five games, Sturgis missed three field goals and four extra-point attempts. Sturgis (quadriceps) looks like he will be available for Sunday's game in Seattle after the Chargers waived Michael Badgley on Tuesday, Adam Caplan of SiriusXM Radio reports. Analysis: Sturgis missed the Chargers' past two contests due to a strained quadriceps, but on the heels of a bye week, he seems to be trending toward a return. The release of Badgley, his replacement, is the best sign that Sturgis is closing in game action. Sturgis will end all speculation if he's listed as a full participant on Wednesday's injury report. Sturgis (quadriceps) is inactive for Sunday's game against the Titans in London. Coach Anthony Lynn hinted that Michael Badgley will likely be needed to replace Sturgis (quad) for Sunday's game against the Titans in London, Jeff Miller of the Los Angeles Times reports. Analysis: Sturgis is listed as questionable on the final injury report, potentially shaping up as a game-time decision ahead of Sunday's 9:30 a.m. EDT kickoff. The timing allows for plenty of alternatives if Sturgis shows up on the inactive list, but it also creates the risk of getting stuck with a zero if he's accidentally left in a lineup and doesn't play. Badgley was effective last week against the Browns, converting each of five extra-point attempts as well as a 44-yard field goal. Sturgis (quadriceps) was a limited participant in Thursday's practice. Sturgis (quad) logged a limited practice Wednesday. Analysis: While Sturgis sat out the Week 6 win over the Browns, Michael Badgley handled kicking duties and hit his only field-goal attempt en route to an eight-point outing. Badgley could continue to handle the team's kicking duties again this weekend against the Titans if Sturgis is held out as a precaution. Sturgis' limited practice participation Wednesday suggests that he at least has a chance to return to action Sunday. Sturgis (quadriceps) is inactive Week 6 against the Browns. Analysis: Sturgis had been considered unlikely to play for the road matchup, so the team brought in Michael Badgley, who will presumably handle kicking duties for the Chargers. It's unclear if Sturgis -- who missed both a field goal and extra point in Week 5 -- will be ready to take the field when the Chargers return home for a Week 7 matchup against Tennessee. Due to both the injury concerns and the recent struggles, Sturgis is unlikely worth holding on to in standard formats. Sturgis (quadriceps), who is listed as questionable for Sunday's game against the Browns, is considered unlikely to kick for the Chargers but will work out ahead of the contest, Ian Rapoport of NFL Network reports. Analysis: Fortunately for those who are rostering Sturgis, the Chargers and Browns kick off at 1 p.m. EDT, giving fantasy owners time to pivot to a different kicker in the event Sturgis is ruled out. Even if the Chargers elect to keep both Sturgis and Michael Badgley active for the contest, it's uncertain that Sturgis would handle the team's kicking duties exclusively. It's probably best to avoid the situation altogether this week. Sturgis (quad) is listed as questionable for Sunday's game against the Browns, Ricky Henne of the Chargers' official site reports. Analysis: In the event that he's unable to kick in Week 6, the team also has Michael Badgley on hand. Either way, those hoping to use a Chargers kicker this weekend will gain clarity on the situation in advance of the first wave of games Sunday, with the Chargers-Browns game kicking off at 1:00 ET. Coach Anthony Lynn indicated Thursday that he's hopeful Sturgis will be available Sunday against the Browns, but newly signed kicker Michael Badgley will be on hand as a "security blanket." Sturgis is nursing a strained quadriceps and may not be available to kick Sunday against the Browns, Adam Schefter of ESPN reports. Analysis: The injury limited Sturgis' participation in Wednesday's practice and prompted the team to sign Mike Badgley, who now looks like the top candidate to kick for the team in Week 6. Schefter notes that Sturgis won't be cut or moved to injured reserve as a result of the quad issue, suggesting a long-term absence isn't anticipated. In any case, fantasy owners counting on Sturgis in weekly matchups should begin looking in a different direction. Sturgis made two of his three field-goal attempts and two of his three extra-point attempts in Sunday's 26-10 win over the Raiders. 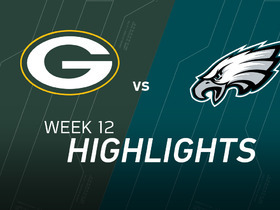 Sturgis made three of his four field-goal attempts and also missed both of his extra-point attempts in the 29-27 win over the 49ers on Sunday. Sturgis made his only field-goal attempt Sunday, but made just two of his three extra-point attempts in the 35-23 loss to the Rams. Analysis: Sturgis' missed extra point didn't exactly come back to bite the Chargers, but it's clear that special teams problems are still plaguing this team. Sturgis has failed to generate much fantasy production, but that's thanks in large part to the team's ability to convert in the red zone. He'll face the 49ers in Week 4. Sturgis connected on his only field-goal attempt and also made all four of his extra-point attempts in the 31-20 win over the Bills on Sunday. Analysis: Sturgis' lone field-goal attempt was from 24 yards, so he obviously wasn't asked to do too much in this contest. With a difficult Week 3 matchup against the Rams on tap, Sturgis might struggle to see many kicking opportunities once again. Sturgis made two of his three field-goal attempts and did not attempt any extra points in Sunday's 38-28 loss to the Chiefs. Analysis: Sturgis' missed field goal essentially sealed the Chargers fate as the 48-yard kick sailed wide left with the team trailing by 10 with just over one minute left to play. 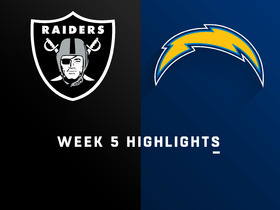 It was a little odd to see the veteran kicker not even attempt an extra point, particularly since the Chargers scored 28 points, but that was due in large part to game script as the team trailed by 19 points entering the fourth quarter. Sturgis has beat Roberto Aguayo in their competition for the Chargers' place-kicking job. Analysis: Both players were productive throughout the preseason, but the Chargers must have felt more confidence in Sturgis being reliable during the regular season. After spending most of last season in recovery mode from a torn hip flexor, he could be a sneaky option for a top-flight year complementing the Chargers offense, which could improve upon a mark of 22.2 points per game from 2017 if the skill positions experience a modicum of health. Head coach Anthony Lynn was complimentary of Sturgis following Thursday's 23-21 preseason win over the 49ers. "We brought Caleb (Sturgis) in to be our kicker. Last couple of weeks, he showed that he could do that," Jack Wang of the Los Angeles Daily News reports. Sturgis made his only extra-point attempt and kicked the Chargers' only two kickoffs through the end zone in Saturday's exhibition loss to the Saints. Analysis: Sturgis was considered behind Robert Aguayo in the competition for the team's kicking role heading into the evening, so it is unclear where the two stand now. The Chargers may give Aguayo the nod in the final preseason contest, but that is just speculation. The competition may remain up in the air until Saturday's final roster cuts. 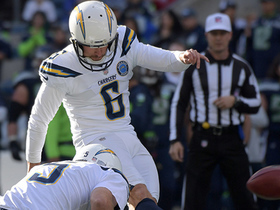 Sturgis appears to be losing the competition for the Chargers' kicker role, Adam Schefter of ESPN reports. Analysis: The Chargers have had Sturgis and former second-round pick Roberto Aguayo competing for the regular season job. Sturgis was the favorite coming into camp but it appears he's fallen behind and now faces an uphill battle to make the roster. Sturgis made four of his six field-goal attempts during the Chargers first kicking reps of training camp, Eric D. Williams of ESPN.com reports. Analysis: Robert Aguayo, Sturgis' only competition for the starting job, made five of his six attempts, including a kick from 50 yards out. Sturgis is projected to win the role, but the Chargers have been known to go with whatever player they feel is best suited for the role regardless of age, i.e. Younghoe Koo last season. Sturgis has signed with the Chargers. Analysis: Sturgis, who signed a two-year contract with the Chargers, is over a hip issue that landed him on IR while with the Eagles last season. Fellow kickers Nick Rose and Roberto Aguayo remain on the team's roster, but Sturgis will presumably emerge as the top option on that front. Sturgis recovered from his torn flexor during the regular season but remained on injured reserve due to the success of replacement kicker Jake Elliott, David Weinberg of The Press reports. Sturgis, who was placed on injured reserve after suffering a left hip flexor tear in the season opener, is said to be nearing a return to full health, but the Eagles aren't expected to activate him from IR at any point, Les Bowen of The Philadelphia Inquirer reports. Eagles head coach Doug Pederson said there haven't been any discussions about activating Sturgis (quadriceps) off injured reserve when the kicker is eligible to return in Philadelphia's Week 10 matchup with Dallas, Zach Berman of The Philadelphia Inquirer reports. 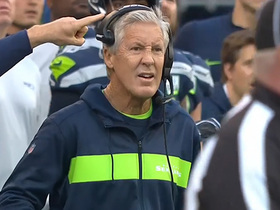 Los Angeles placekicker Caleb Sturgis misses an extra point, his third missed kick against the Seahawks in Week 9. 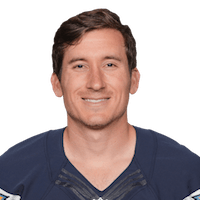 Los Angeles Chargers placekicker Caleb Sturgis misses his second kick of Week 9, a 42-yard field goal. 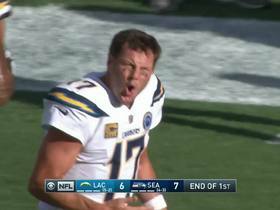 Los Angeles Chargers quarterback Philip Rivers shows his anger after a missed point by placekicker Caleb Sturgis to end the first quarter. 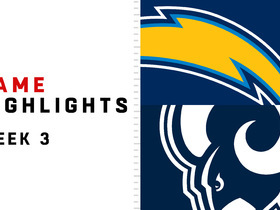 Watch the best plays from the Week 3 matchup between the Los Angeles Chargers and Los Angeles Rams. 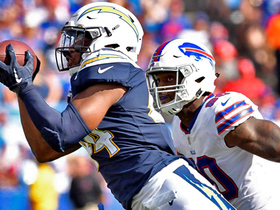 Los Angeles Chargers linebacker Kyzir White intercepts Buffalo Bills quarterback Josh Allen, which leads to Chargers extending their lead with a 24-yard field goal made by kicker Caleb Sturgis. Los Angeles Chargers placekicker Caleb Sturgis misses a pivotal 48-yard field goal in crunch time. 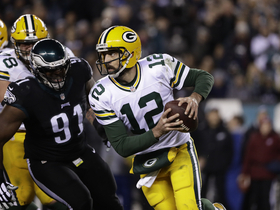 The Green Bay Packers visit the Philadelphia Eagles in Week 12 of the 2016 NFL season.